Thomas joined Loughborough University in May 2016 having previously been Senior Lecturer in Sociology at Coventry University. He received his PhD in Sociology from the University of Warwick in January 2010 and during that year was also an Early Career Research Fellow at the Institute of Advanced Studies. 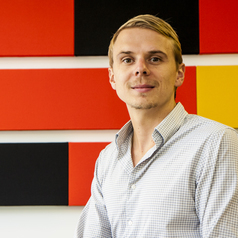 In his research, Thomas has used contemporary leisure and consumer practices as a means to explore sociological issues relating to identity, sociability and diversity. Across various research undertakings, this has involved a particular focus on the social construction of masculinity and male identity. His recent work develops an interest in the social and cultural aspects of alcohol, drinking and drunkenness. His other research interests include material culture, the sociology of the body and emotions and qualitative research methods.